Share a laugh. Take a break and have a little fun with family and friends. See who can come up with the corniest holiday joke. Play some board games. Watch one of the many holiday specials complete with popcorn and hot cocoa. These memories will be priceless. Share a heartfelt conversation. While we tend to focus on the excitement and anticipation of the holidays, this time of year can be hard for some people. Maybe they’ve lost a family member. Maybe they are having trouble at home or at work. Maybe they are worried about money. Taking the time to talk will mean more to them than you can imagine. Share your time. Monetary contributions are always needed by shelters and food pantries. But you can also volunteer to serve or deliver meals. Perhaps an elderly neighbor could use some help putting up Christmas decorations. Your time is valuable, and your willingness to share it will be appreciated. 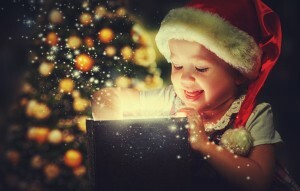 The joy of the season comes when you share it with someone else. Happy Holidays! And may you experience the joy of this sharing season.